as soon as i saw this i knew i had to have it. there was a good amount of fabrication invalved. but it looks AWSOME. i will post pics as soon as i get the chance. Is this the one b/c if it is it looks sick idk how good it will be but still look badass. Still looks good now u need the one i posted. pic's or beat down, if im going to see you next week remember that. Hey! where the f*** are the pics? PICS OR BUST! I have this, the fitment isnt that great and it rattles every now and then. If I were to do it all over I would buy the box, get stainless screws, and put rubber strips along the outside of the box. It could be cleaned up a bit. 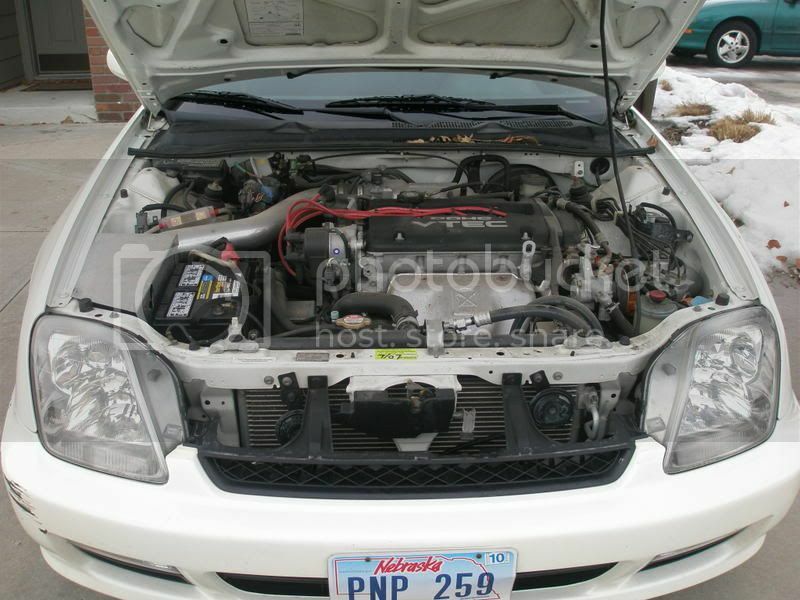 But its better then have the filter being open to the heat under the hood. Oh and better then the filter being in the fender and having a chance of sucking in water. I'd heat wrap the intake and use that dyna mat heat shield stuff on the outside of the box well may be the inside and paint the box black. Get a spark plug cover! Nice red wires tho. That box looks surprisingly good, any difference in the car's running? Looks good I vote for the black box as well, will def make it stand out more. Please let us know if the cars rides any better I am looking for an intake as well as some other people. I think it perfroms great. Although I dont really have anything to compare it to. It was cheap and different, thats why I bought it.